The Fiendishly Fun Way to Master Electronic Circuits! 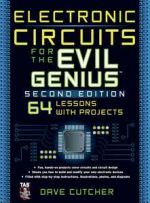 Fully updated throughout, this wickedly inventive guide introduces electronic circuits and circuit design, both analog and digital, through a series of projects you'll complete one simple lesson at a time. The separate lessons build on each other and add up to projects you can put to practical use. You don't need to know anything about electronics to get started. 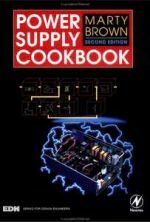 A pre-assembled kit, which includes all the components and PC boards to complete the book projects, is available separately from ABRA electronics on Amazon. 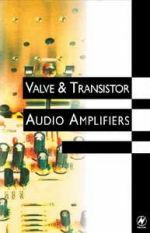 This comprehensive book on audio power amplifier design will appeal to members of the professional audio engineering community as well as the hobbyist. 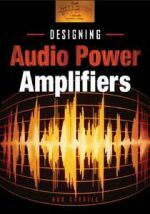 Designing Audio Power Amplifiers begins with power amplifier design basics that a novice can understand and moves all the way through to in-depth design techniques for the very sophisticated audiophile and professional audio power amplifier designer. This is the single best source of knowledge for anyone who wants to design an audio power amplifier, whether for fun or profit. 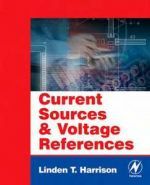 Current sources and voltage references provide fixed, well-regulated levels of current or voltage within a circuit. These are two of the most important building blocks of analog circuits, and are typically used in creating most analog IC designs. A practical tool on radar systems that will be of major help to technicians, student engineers and engineers working in industry and in radar research and development. The many users of radar as well as systems engineers and designers will also find it highly useful. Also of interest to pilots and flight engineers and military command personnel and military contractors. ""This introduction to the field of radar is intended for actual users of radar. 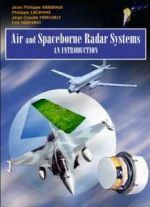 It focuses on the history, main principles, functions, modes, properties and specific nature of modern airborne radar. The book examines radar's role within the system when carrying out is assigned missions, showing the possibilities of radar as well as its limitations. Finally, given the changing operational requirements and the potential opened up by modern technological developments, a concluding section describes how radar may evolve in the future. 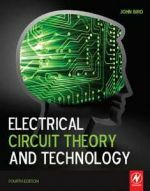 A fully comprehensive text for courses in electrical principles, circuit theory, and electrical technology, providing 800 worked examples and over 1000 further problems for students to work through at their own pace. This book is ideal for students studying engineering for the first time as part of BTEC National and other pre-degree vocational courses (especially where progression to higher levels of study is likely), as well as Higher Nationals, Foundation Degrees and first year undergraduate modules. Safety in any workplace is extremely important. In the case of the electrical industry, safety is critical and the codes and regulations which determine safe practices are both diverse and complicated. Employers, electricians, electrical system designers, inspectors, engineers and architects must comply with safety standards listed in the National Electrical Code, OSHA and NFPA 70E. Unfortunately, the publications which list these safety requirements are written in very technically advanced terms and the average person has an extremely difficult time understanding exactly what they need to do to ensure safe installations and working environments. 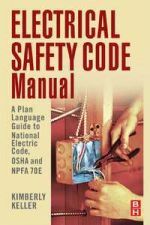 This book will tie together the various regulations and practices for electrical safety and translate these complicated standards into easy to understand terms. This will result in a publication that is a practical, if not essential, asset to not only designers and company owners but to the electricians who must put compliance requirements into action in the field. Light-emitting diodes are being widely used due to their efficient use of power. The applications for power LEDs include traffic lights, street lamps, automotive lighting, architectural lights, household light replacements, signage lighting (replacing neon strip lights and fluorescent tubes), and many more. Powering (driving) these LED's is not always simple. Linear driving is inefficient and generates far too much heat. With a switching supply, the main issues are EMI and efficiency, and of course cost. The problem is to get a design that meets legal requirements and is efficient, while costing the least. 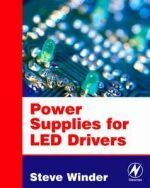 This book covers the design trade-offs involved in LED driving applications, from low-power to UB-LEDs and beyond. The audio amplifier is at the heart of audio design. Its performance determines largely the performance of any audio system. John Linsley Hood is widely regarded as the finest audio designer around, and pioneered design in the post-valve era. His mastery of audio technology extends from valves to the latest techniques. This is John Linsley Hood's greatest work yet, describing the milestones that have marked the development of audio amplifiers since the earliest days to the latest systems. Including classic amps with valves at their heart and exciting new designs using the latest components, this book is the complete world guide to audio amp design. John Linsley Hood is responsible for numerous amplifier designs that have led the way to better sound, and has also kept up a commentary on developments in audio in magazines such as The Gramophone, Electronics in Action and Electronics and Wireless World. He is also the author of The Art of Linear Electronics and Audio Electronics published by Newnes. Harness the power of the PIC microcontroller unit with practical, common-sense instruction from an engineering expert. 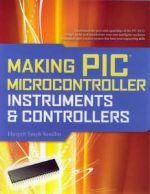 Through eight real-world projects, clear illustrations, and detailed schematics, Making PIC Microcontroller Instruments and Controllers shows you, step-by-step, how to design and build versatile PIC-based devices. Configure all necessary hardware and software, read input voltages, work with control pulses, interface with peripherals, and debug your results. You'll also get valuable appendices covering technical terms, abbreviations, and a list of sample programs available online.